The cover of the new New Yorker wades into the escalating gun debate through an alarming image depicting how guns are now part of the American Grocery List. 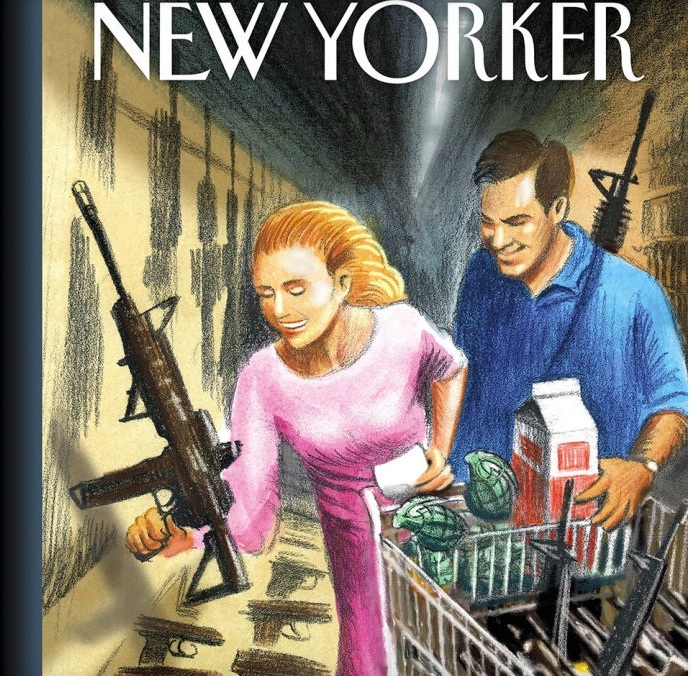 Artist Erik Drooker's illustration shows a typical American couple clutching a grocery cart filled with milk, vegetables and a plethora of guns. The man has what looks like an assault rifle strapped across his body while the woman hoists a gun from the wall. "If only Eric Drooker's image were a fiction," the magazine wrote in a preview of the cover. The magazine cover story examines the explosion of gun sales in the U.S. as cries for stricter background checks and restrictions grow louder. "And somehow, despite the growing demand for restrictions and background checks, the sales go on and, with them, the daily shootings," Francoise Mouly writes in an online post. The New Yorker's cover builds on other media getting creative in the wake of an uptick in mass shootings in the U.S. this year. As TheWrap reported, The New York Daily News has produced twoprovocative front pages this week following the San Bernardino massacre, pushing back against anti-gun control presidential candidates as well as the NRA.